Well, another project that had the potential to opinionate - and it did. Some like it, some hate it, and quite frankly: That is what I like about it. "Critics chair", a radio programme of Radio New Zealand loved especially the Baroque version and thought it was the definitive version, the (nameless) guy in the review that is given as a link from here liked the Dallapiccola version and hated the Baroque one, although I am not quite sure he has really understood what we are doing, let alone seen the music. So: what is it all about? 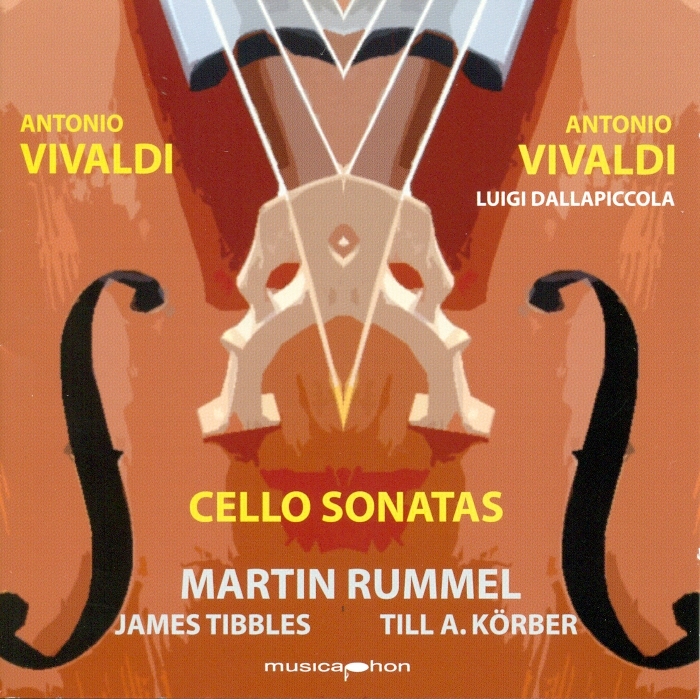 Vivaldi's cello sonatas are usually put in front of very young cellists, because they seem easy to play at first sight. If you only look at what is written on the page, that might even be true. However, they are not at all if one starts looking at what could be done: embellishments in the cello part and improvisational craziness over a figured bass for the harpsichord. As nobody would ever play six Vivaldi sonatas in a row in concert, for recording them I decided to apply one principle of embellishments to the repeats of each movement: there are Bach-like doubles (such as the second movement of the e minor sonata), one movement that gets runs wherever applicable (the second movement of the a minor sonata), one that plays with the expectation of the listener for the obvious (the second movement of the F Major) , one that gets mordents, one other that gets trills and even one that appears to have the embellishment when it is actually the original after a simplified version (the last movement of the a minor sonata). All in all, some of these musical games made it one of the most virtuoso recordings I have done. I like it and I know a lot of other people who do - if you happen to be not one of them, just do not listen to it. The other disc shows an attempt of someone who did a very simliar thing with the musical language of his time: Luigi Dallapiccola composed a pseudo-Baroque piano part over the figured bass, full of wit and a fantastic sense for pianistic sounds and musical joy, far away from all Baroque rules. Additionally he put dynamic markings and articulations into both parts, which makes the whole thing appear more like Pulcinella than real Vivaldi, but the result is a truly enjoyable "Don't worry, be happy" kind of music.